A few months ago, I didn’t really even know what a pot still was, but after spending a long weekend on the Isle of Islay and learning about the whisky distilling process from several distilleries, I’m intimately familiar with the function of a pot still. 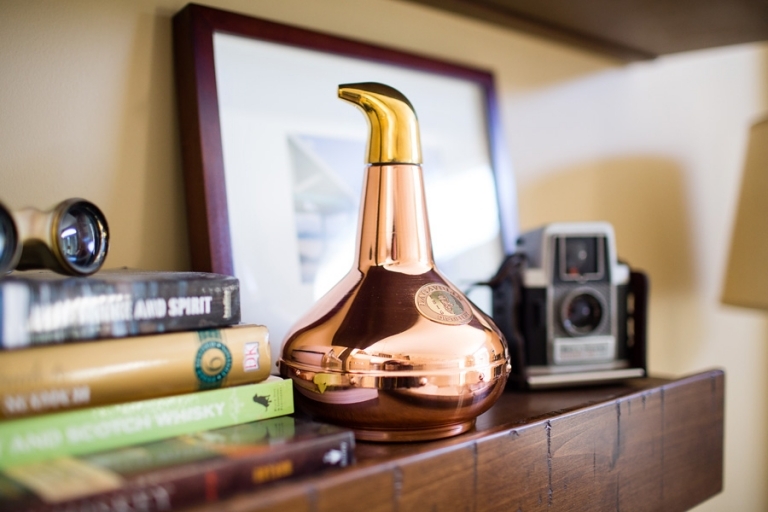 And when I spotted this copper pot still decanter in the Lagavulin gift shop, I had to have it. It’s one of our most favorite souvenirs ever!